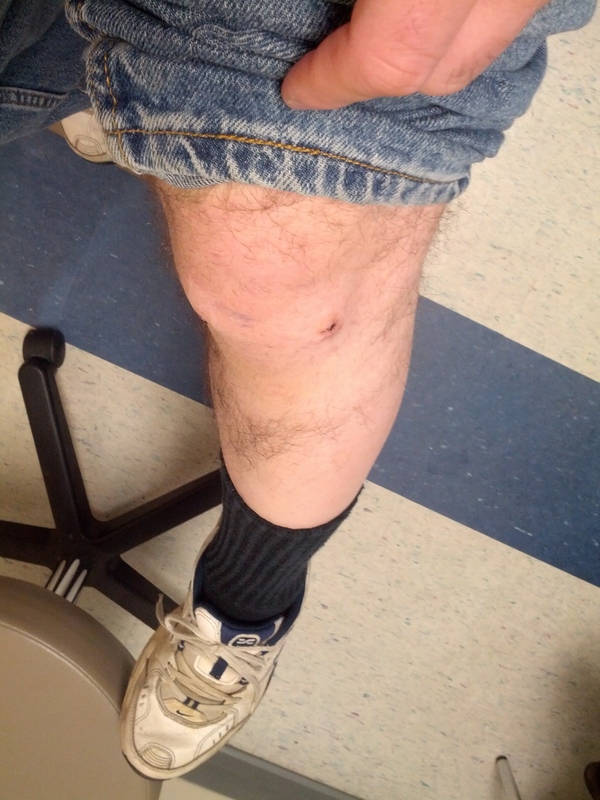 So, as readers of this blog know … I have a new meniscus tear. 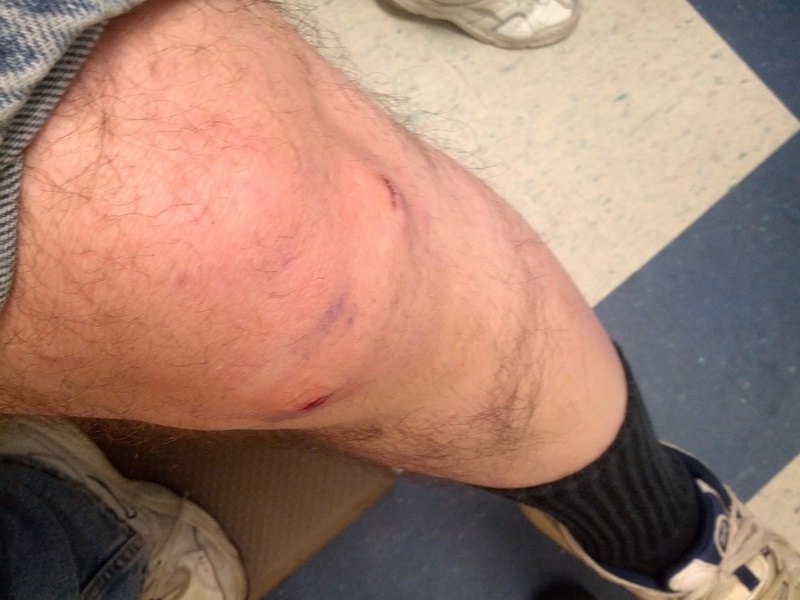 And on December 13, 2013 I had knee surgery to address my new tear. Since then “Dr. Mom” has been providing the home care. So today I went to see my Doctor, Dr. Juliano, for a post operation follow-up visit and the for the removal of my stitches. The stitches were removed and … OUCH … that hurt! After the stitches were removed Dr. Juliano came in and told us that things were looking pretty good. He was pleased when I told him that I was doing various exercises 3 times a day and in fact confirmed what I was doing was good for my post surgery care, despite what Eve thought. He also gave me an additional non-motion stretching exercise I should start doing in a couple of weeks, once I stop limping around basically. I asked him for pictures of the surgery and he laughed and said he would get them to me prior to my next follow-up visit in a month. He stressed again that I need to take it easy with the knee and not engage in any of the heavier farm work that I typically do during the season for a month or longer. Once I get those operation photos I will immediately post them! In the meantime … I have to do this … please check out my Crowd Funder TV Show campaign which currently has 13 backers! Actually, we have been stuck at 13 backers for a few days now! This entry was posted in Uncategorized and tagged #GivingTuesday, Agricultural policy, arthroscopic surgery, Best Buy, black dirt, bulk boxes, charity, Chris Pawelski, contribute, corporations, crop insurance, crowd funding, Dr Mom, Dr. John Juliano, Eve Pawelski, farm, farmer, farming, fruits and vegetables, giving back, Giving Tuesday, Goshen New York, Home Depot, Matching gift, memoir, meniscus tear, muck, Muckville, Muckville: Farm Policy Media and the Strange Oddities of Semi-Rural Life, onions, Orange County New York, public policy, Sears, specialty crops, Starbucks, steroid shot, thank you, The Crowd Funder TV Show, therapeutic massage, vegetables, vegetables and fruits, Washington DC by chrispawelski. Bookmark the permalink.